Photos of the Loch Ness Monster can be found displayed on various websites, but many of the Loch Ness Monster photos you see are hoaxes. Loch Ness Monster sightings captured in pictures or various images of the creature are often grainy or blurry. Over the years, there have been many Loch Ness monster hoaxes staged in an effort to claim photographic evidence of the existence of the Loch Ness Monster. On November 12, 1933, the first known photo was taken of the Loch Ness Monster by Hugh Grey. Grey claimed to have taken five photos, but only one had anything in it, and the quality was so poor that few gave the photo much credence. In 1934, a surgeon named R.K. Wilson claimed to have captured photographic evidence of Nessie that was quickly dubbed the "Surgeon's Photo". It was several decades later that the truth was admitted that the photo was hoaxed by a friend of the surgeon in an attempt to exact revenge on the newspaper that had fired him. The monster was a plastic construction attached to a toy submarine. 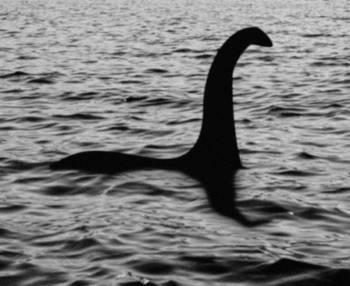 There are many photos that have been circulated over the past decades with claims of being authentic evidence of Nessie, but invariably proven to have been tampered or doctored photos. During the 1950s, there were numerous reports of Nessie sightings. For reasons only known to them, many people have perpetrated photo hoaxes. Fortunately, modern technology can assist in disproving some of the most sophisticated fake photographs. In 1951, a forestry employee named Lachlan Stuart claimed to have seen three humps in the water about 50 yards offshore from where he stood. His companion collaborated his claim that Stuart managed to snap a photo before the monster rose higher in the water before quickly disappearing beneath the surface. Thirty years later, Richard Frere, an author, revealed to the public that Stuart had confided in him that the humps had been constructed out of hay bales covered with dark tarps. In 1977, a photo emerged that was touted as the clearest photo of Nessie. Anthony "Doc" Shiels snapped a photo of Nessie while he was camping near Urquhart Castle. The photo was immediately declared a hoax since the water was as smooth as glass surrounding the monster where it appeared to have emerged from the depths with its head and long neck extended above the water's surface. The lake was completely undisturbed without any waves or ripples that would be natural for such a large creature rising out of the water. Since the image was so obviously a fake Nessie, the photo was dubbed, Loch Ness Muppet. With so many hoaxes, it's no surprise any photo purported to be of Nessie comes under heavy scrutiny. One of the most compelling photos was taken in 1955. MacNab was photographing the Urguhart Castle from a long-range position overlooking the castle and Loch Ness when he claims to have snapped the photo just before the large humps in the water disappeared. This photo was later proven to be a hoax when researchers examined the photo that was printed in the newspapers and compared it with the actual negative. This comparison revealed one important missing element in the photo print. A large tree along the bottom left corner of the shot showed up in the negative, but not in the photo. This discrepancy created quite a bit of speculation as to what else had been changed or added to the photo. The story behind this photo is one of an accidental photo. A young couple was staying at a local inn for a romantic weekend getaway. They went out for dinner and stopped their car at an overlook beside Loch Ness on the drive back. The couple heard loud splashing coming from the lake below the small cliff. The man later reported that the sound was so loud, he at first believed a car had careened off of the road and plummeted into the water. He set out on foot to investigate and as he descended toward the water, he used the camera flash to light his way. Once near the shore, he still wasn't able to see anything and eventually returned to the vehicle. It wasn't until later that evening as the couple scrolled through the digital camera photos that they discovered a photo of what they believed might be Nessie. The captured image is of a very large shape that appears to be splashing about in the water. Several experts have examined the photograph and concluded that the creature in the water is definitely aquatic, but it's difficult to draw any kind of definitive conclusions from the distorted and dark photo. Fanpop has a slideshow on the site for the Loch Ness Monster page. This is a mixture of faked photos and artwork, including book and magazine story cover art. The first photo is of the Sri Lanka elephant that fooled people all over the world until the truth of the photo was discovered. The Flipper Photo has been surrounded by controversy since it was taken in 1972 during the official, Loch Ness Phenomena Investigation Bureau project. 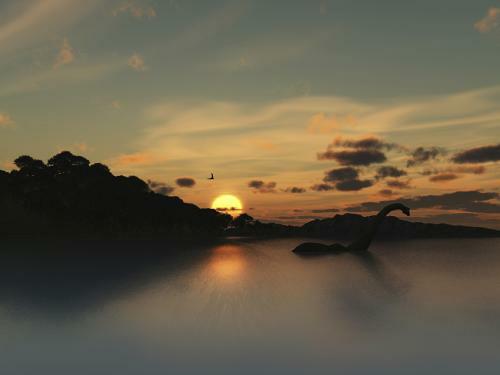 Sir Peter Scott, lead investigator, took a photo that he believed was conclusive proof of Nessie's existence, but the scientific community was split over what the photo actually depicts. There have been numerous photos over the years that people claimed to be evidence that Nessie existed only to have them proven to be pictures of floating tree trunks or other debris. Just for Fun - Best Fake Loch Ness Monster Contest: This contest was held for the best Nessie photo that could be created. Loch Ness Webcams: If you want to hunt for Nessie, try visiting some of the Loch Ness webcams with live feeds like the one sponsored by Loch Ness researcher, Mikko Takala. You just might end up with the first authentic photos of the Loch Ness Monster. 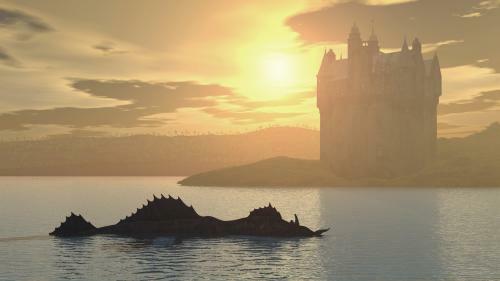 Is the Loch Ness monster an urban legend or a hoax, or is there something more to the story? As with other cryptids such as Bigfoot and el chupacabra, few if any credible photos exist as proof, but the legends, sightings, and stories persist in spite of the lack of photographic evidence.